Vidal was a novelist, essayist, and political commentator whose career spanned over five decades. He was identified with the liberal side of politics, hence the on-air blow-up that occurred on national television during the 1968 Democratic National Convention in which Vidal called William F. Buckley a “pro crypto-Nazi.” The normally erudite conservative commentator cursed Vidal and threatened to assault him. Vidal also carried on feuds with writers Truman Capote and Norman Mailer. One of Vidal’s early novels, “The City and the Pillar,” caused a scandal for its frank discussion of gay themes. Two other novels, “Myra Breckinridge” and “Myron” were satires on transgenderism. Vidal was also known for his historical novels. “Julian” depicted the life of one of the later Roman emperors, who attempted to restore paganism in the late 4th century after Christianity had become the state religion. “Burr,” ”1876,” “Lincoln,” and a number of other novels were set during various times of American history. Vidal wrote a number of plays and screenplays. One such was “The Best Man” which was set during a brokered convention of a major political party in the early 1960s. The play became a film starring Henry Fonda and Cliff Robertson. Vidal was also a script doctor for the 1959 version of “Ben Hur” in which he claimed he had added a homosexual context to the relationship between the title character and his boyhood friend, Messala. Vidal also wrote, “Visit to a Small Planet” a comedy about a space alien that starred Jerry Lewis. 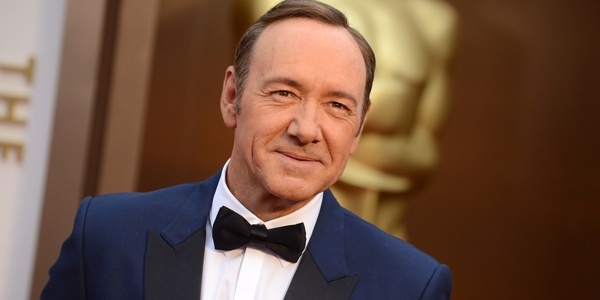 Kevin Spacey hardly needs any introduction to customers of Netflix. He stars as Frank Underwood, the underhanded politician in “House of Cards” who schemes and murders his way to the presidency of the United States. Gore Vidal, an out-of-the-closet gay writer who hobnobbed with celebrities such as Andy Warhol and Mick Jagger, is as different from Underwood as one can get. “Gore” is currently filming in Italy, a country Vidal fell in love with in the 1960s and where he spent most of his time. The film will likely be released sometime in 2018.